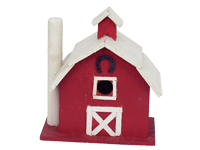 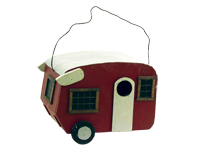 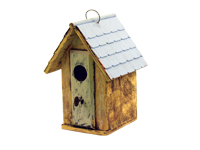 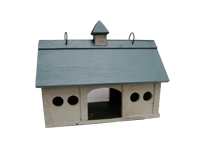 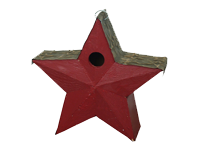 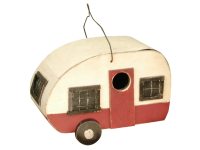 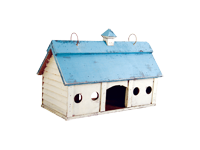 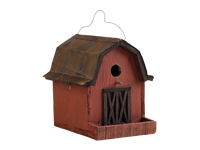 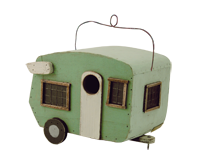 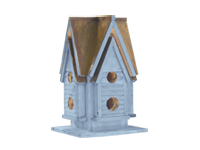 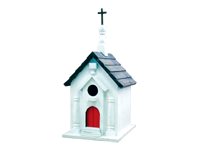 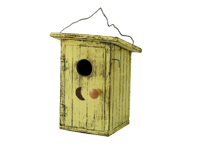 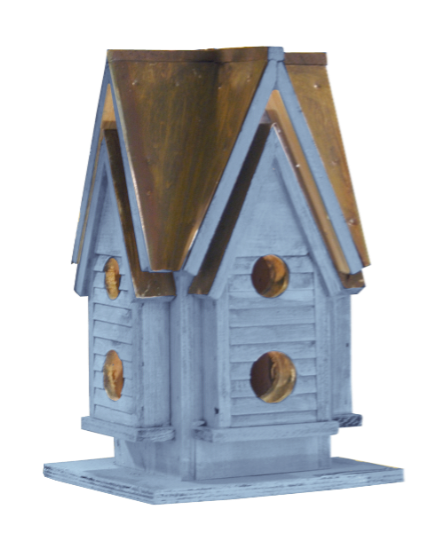 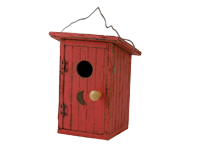 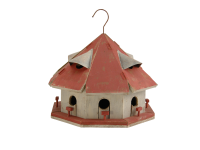 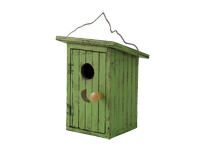 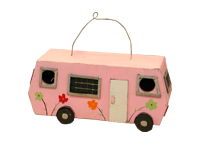 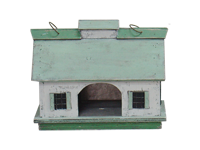 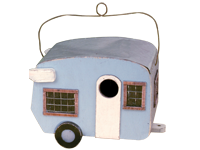 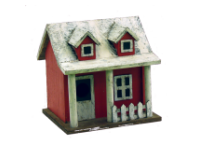 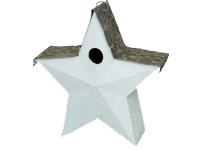 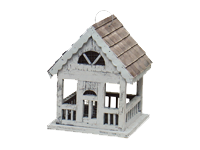 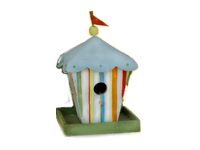 The Grayton Beach birdhouse is a classic decorator design that looks great anywhere you use it, indoors, on the deck, near the pool, or in the backyard. 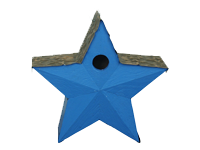 The bird house construction is wood, with blue sides, and a brown textured roof. 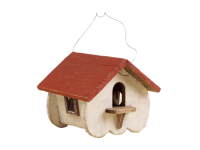 This is a non-functional birdhouse designed for decoration only. 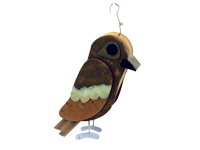 It has no trap for cleanup.